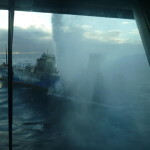 On October 30, the 75 meter long, 1811 dwt ro-ro freighter Fernanda caught fire while off Vestmannaeyjar, Iceland. 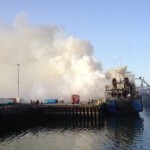 The crew alerted the authorities that the fire had started in the vessel’s engine room and they required assistance. 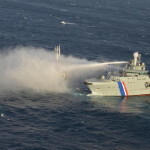 Authorities dispatched helicopters and the Coast Guard vessel Thor to the scene. 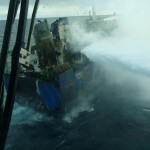 All eleven crew on board the Fernanda were airlifted to safety while the Thor attempted to extinguish the fire. The Thor took the Fernanda under tow to Hafnarfjörður harbor. There over 30 fire fighters attempted to extinguish the blaze. 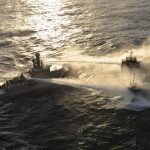 However, the fire continued to release dense smoke from the superstructure. 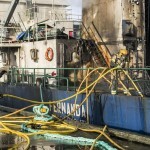 Due to intense heat and stability issues, fire fighters were unable to pump some 100 tons of fuel oil from the vessel. The Coast Guard reassessed the situation while the vessel was in port. 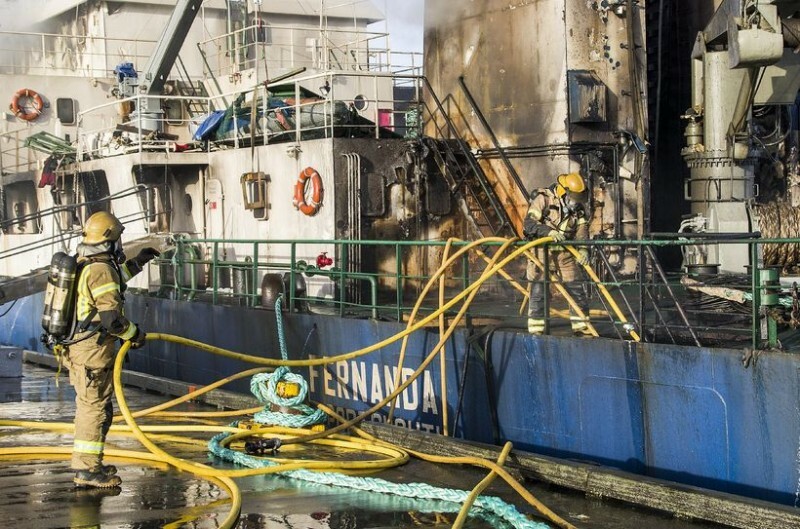 If the Fernanda would sink, it could pollute local fishing and spawning grounds. 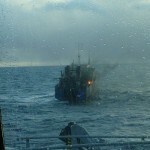 Thus, they decided to have the Fernanda towed out of port and taken to an area west of Faxaflóa. 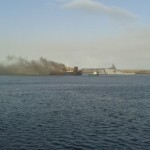 There it would be safe to continue to continue fire fighting or leave the vessel to burn.